This product is yellow powder, an anionic surfactant, soluble in water, acid, alkali and hard water. Fast sand grind speed, good dispersibility, heat stability, viscosity pollution of small, high-staining intensity for dyeing are important advantages of the product. 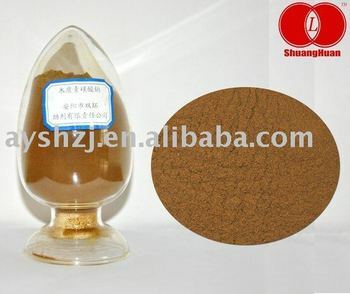 The product is widely used as processing dispersion auxiliary for disperse dyes, vat dyes, , also can be used as water-reducing agent, grinding agent in the industries such as: carbon black and Ceramics, for Oil well drilling, Water treatment, , Paints, Pesticide architecture. Etc.